Photo courtesy: Snowking's Winter Festival. The new heated Visitors Centre at the Snowking’s Winter Festival is now open the public. Residents can attend the centre to grab some merch or to see the construction tours which will show the progress of the Snow Castle. The Visitors Centre will be open Wednesday through Sunday from 1:00 p.m. to 5:00 p.m., with tours offered at 1:30, 2:30, and 3:30, February 2nd to February 24th. The festival also plans to offer French tours once a week every Sunday at 2:30 p.m. Construction Tours are $5 and after the 24th, the doors are locked until the final reveal on March 2nd. 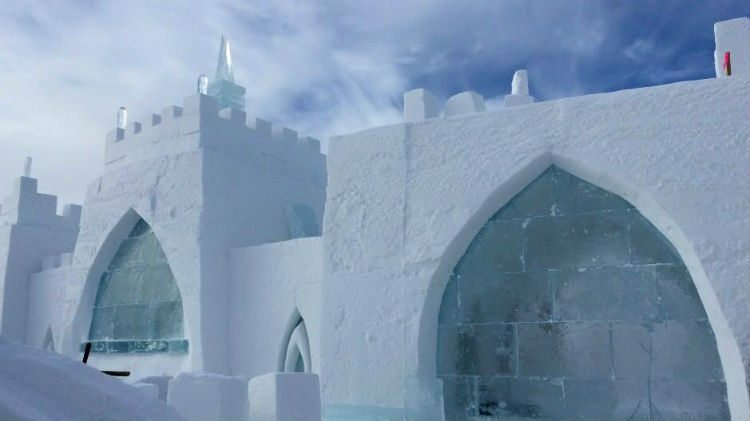 Snowking Anthony Foliot says they are very excited to add the beautiful new Visitor Centre to the Snow Castle as it provides a warm place for the guests. The Snow Castle is a winter wonderland created on Yellowknife Bay where the Snowking and his northern helpers brave the winter conditions over the course of two months to build a huge castle made entirely of snow and ice. The Snowking Winter Festival is an annual festival held each March in Yellowknife since 1996. The month-long festival includes concerts, art shows, children’s theatre, and more.